International education is one of the industry sectors most heavily dependent on, and enabled by, social media and the Internet. It can’t help but be, given that prospective study abroad students most often live far away from the institutions they’re interested in attending. Therefore, students – especially those who cannot manage a campus visit before applying – look to institutions’ websites and social media platforms for evidence about how good, or ill-suited, a school likely would be for them. The catch with social media is, well, it’s social. It’s a forum for conversation, not one-way promotion. This is largely why it’s so powerful: when people like a brand, they say so very publicly, to their friends and followers who may then share the positive impressions still more widely. But of course the reverse is true as well: negative feedback was never so damaging or visible before social media. This ICEF Monitor article looks at best practices for managing negative feedback posted on websites and/or on social media platforms. What if the comment convinces our target market to turn away from our brand? 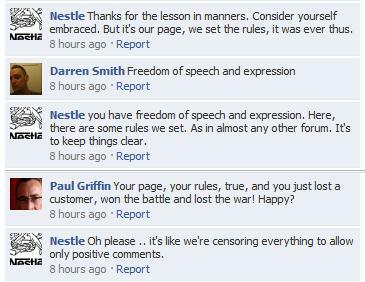 What if the comment provokes still more comments, and word-of-mouth, and the damage becomes still greater? What if it feeds our potential students right into the hands of another institution? These fears are natural and valid. There are many brands that have suffered substantial problems because of negative comments that gained momentum. So there is no sense in discounting the fear many institutions have about the potential for negative comments. But there is this reality: every brand active on social media with stiff competition and a sizeable audience faces unfortunate or spiteful criticisms posted for all to see. Encourages constructive changes to the brand if the comment is valid, and encourages an even more vibrant, engaged social community. Cumulatively, the response became much more damaging to the brand than the initial protests against its practices. Now not only was the brand pursuing a manufacturing policy that was objectionable to some vocal critics, it was proving itself to be dismissive and combative with the public. The apology was definitely necessary but it was unfortunate that it had to come to that. TodayMade, a company that helps brands manage their social media accounts, makes a good point that not all negative comments are the same. In fact, someone reporting a problem (e.g., a website error) is not negative but actually helpful, and responding to them quickly makes them feel valued and helps the brand improve. Social media is fast. It often provokes knee-jerk opinions and reactions resulting in conversations that can get heated and emotional very quickly, and often unnecessarily. 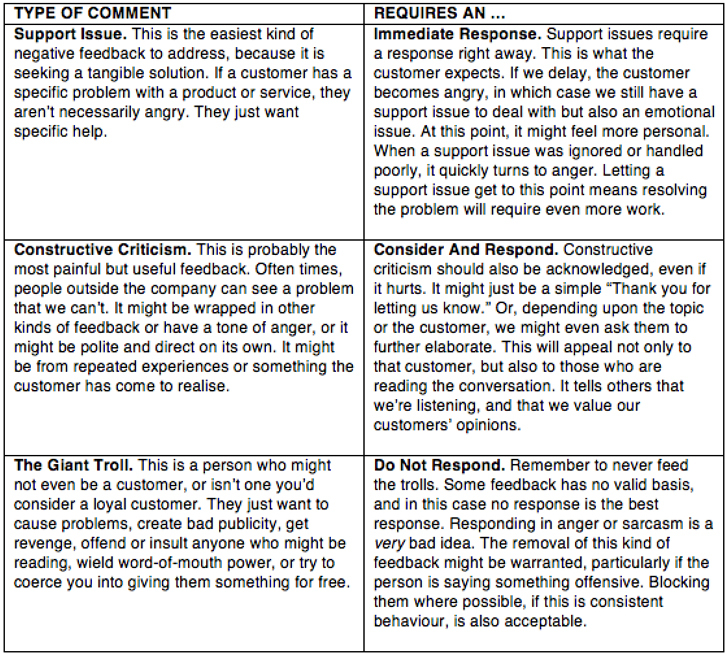 Each negative comment deserves to be considered carefully – segmented as in the above table – before a response is issued. 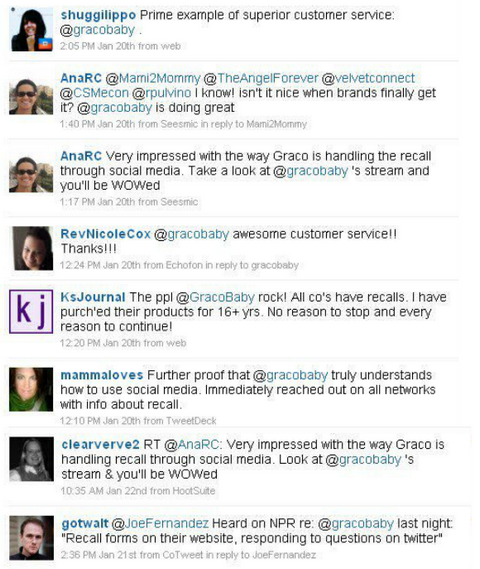 A discussion thread on the Graco Twitter stream. The Graco example impresses this very important point for brands in any category, international education included: nobody’s perfect, we all make mistakes, and apologies matter. There is no way to avoid negative social media chatter – but there are so many ways to manage it, and even turn it into an opportunity. Finally, help the good outweigh the bad: engage with and reward your social media users for their interest in your brand using everything at hand, from community-only perks, coupons, and discounts to high quality content. A whole lot of positive energy on a social media platform is an amazing way to make any negative outliers take up a lot less space – literally and figuratively. In our next marketing post, we’ll be looking at new research on what consumers value most on brands’ social media channels, with this very thing in mind. Stay tuned! This entry was posted in Africa, Asia, Australia/Oceania, Europe, Marketing, Middle East, North America, Regions, South & Central America and tagged international schools, secondary schools for international students, student recruitment agencies, high schools abroad, colleges with international students.